The 2012 RBI World Series is finally here! It’s going to be a busy two weeks here in Minneapolis/St. Paul as 24 teams from around the U.S., Dominican Republic and Venezuela prepare to compete in the 2012 RBI World Series. The 16 baseball teams, representing the Junior & Senior Leagues, are set to arrive today with events kicking off tomorrow, while the eight teams in the Softball League will kick off events on August 6th. Besides vying for their division’s championship, these teams will also help celebrate the program’s 20th anniversary — a commemoration that will be highlighted by a visit from Baseball Commissioner Allan H. (Bud) Selig. His keynote address and luncheon will open the baseball portion of the tournament and will feature Hall of Famers Bert Blyleven, Rod Carew and Paul Molitor, as well as Twins legend Tony Oliva. Following the luncheon at Target Field, the baseball teams will be able to participate in a Q & A session with the Commissioner and former players. 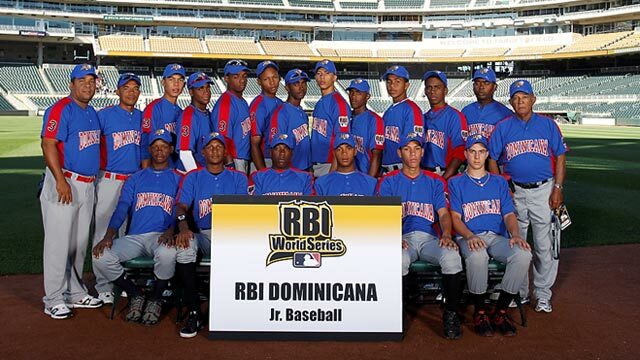 Dominican Republic returns to Minneapolis in hopes of winning their third consecutive RBI World Series — the Junior League team won in 2010 & 2011. Players and coaches will also take part in something extra special this year; for the first time in RBI World Series history, teams will join Major League Baseball for a day dedicated to assisting in community service projects. Teams will help local Minneapolis Boys & Girls Clubs by landscaping, cleaning and renovating ball fields, as well as working with ‘Kids Against Hunger’ where they will help pack food that will be distributed to families throughout the United States and abroad. Here is the full press release from Major League Baseball. Needless to say, with all of the events set up over the next two weeks, players and coaches will be incredibly busy as they take part in once-in-a-lifetime experiences. Stay tuned for blogs, videos and photos from all of the events for a unique, behind-the-scenes look at this year’s RBI World Series. Born and raised in a small community an hour south of Minneapolis, I grew up loving Minnesota sports teams — especially the Twins! 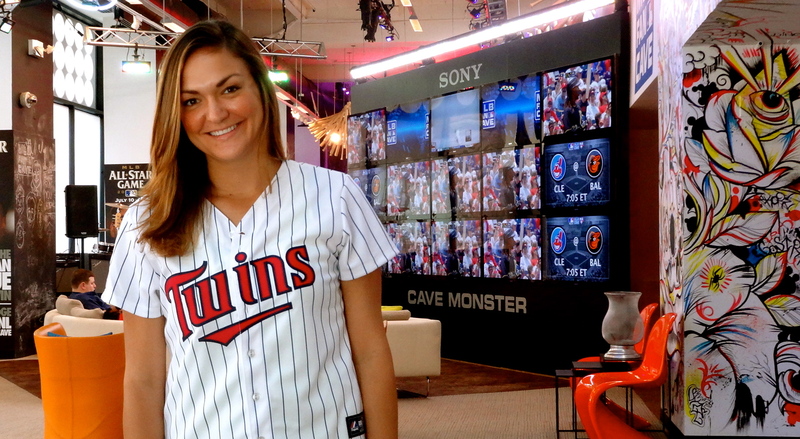 After working as a sports journalist in the Twin Cities for over two years, I moved out to New York City to take part in the 2012 MLB Fan Cave where I spent the first half of this year’s season watching every single baseball game. Now I’m back in Minnesota, excited to take part in this year’s RBI World Series tournament. Be sure to follow along here on my official PRO MLB.com blog or on Twitter (@LindsayGuentzel) for lots of updates as the tournament gets underway!